The Forgotten Way African Americans Stayed Safe in a Racist America – Direct Action Welfare Group Inc.
Jim Crow laws across the South mandated that restaurants, hotels, pool halls and parks strictly separate whites and blacks. Lynchings kept blacks in fear of mob violence. There were thousands of so-called “sundown towns,” which barred Blacks after dark with threats of violence. So in 1936, a postal worker named Victor Green began publishing a guide to help African American travelers find friendly restaurants, auto shops and accommodations in far-off places. For African American travelers, much of the U.S. could be a hateful and dangerous place, even into the 1960’s. Jim Crow laws across the South mandated that restaurants, hotels, pool halls and parks strictly separate whites and blacks. Lynchings kept blacks in fear of mob violence. And there were thousands of so-called “sundown towns,” including in northern states like Indiana, Illinois, Minnesota and Michigan, which barred blacks after dark, an unofficial rule reinforced by the threat of violence. So in 1936, a postal worker named Victor Green began publishing a guide to help African American travelers find friendly restaurants, auto shops and accommodations in far-off places. Green dubbed the guide after himself – the “Green Book” – and published it for decades. Green says he was inspired by the Jewish press, which had long published information on restricted places. The images below come from the New York Public Library, which recently digitized 21 volumes of the Green Book, from 1937 to 1964. While poverty and discrimination kept many African Americans from owning cars, a new black middle class rose up in the 1930’s, 1940’s and 1950’s, and many of them were eager to escape poor treatment on public transportation. Yet car ownership came with its own challenges. Many African Americans would pack meals, blankets and gasoline in their cars on trips in case they ended up somewhere where they wouldn’t be served or didn’t want to ask. Green Books were sold at Esso service stations, one of the few gas station chains that served African Americans. The first edition retailed for a quarter, and Green soon upped the price to 75 cents. And here are heat maps that Foo created showing the density of the listings, first in 1947 and then in 1956. 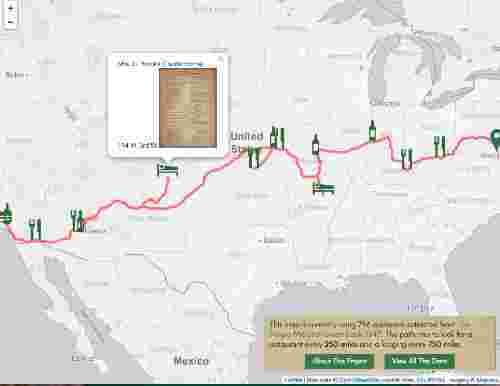 Though the listings increase a lot as Green continues to work on his book, overall there are few listings west of the Mississippi. Though the Green Book was a life-saving tool at the time, it’s also a vivid reminder of just how discrimination and prejudice made — and still make — the world much smaller and less free. 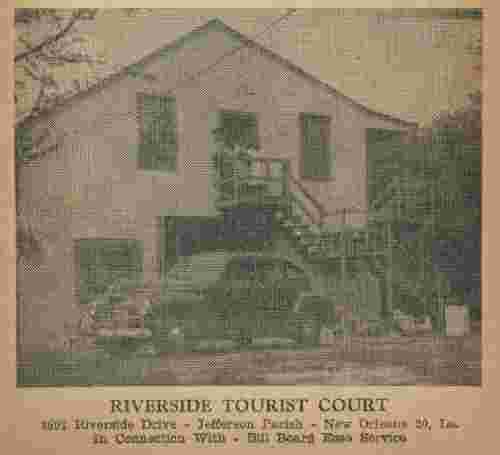 Though Green’s list was far from comprehensive, many states have only a handful of listings, and the guesthouses and motels featured in the photos look small and somewhat shabby today. 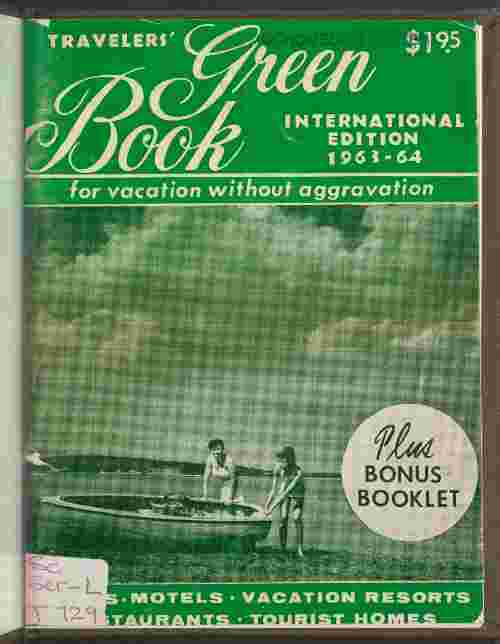 The last edition, published in 1963, was an international edition which described itself as a guide to “vacation without aggravation.” Green died in 1960, and the book gradually lost some relevance after the creation of a national highway system in 1956, which meant travelers no longer ventured as much into cities and towns, and the Civil Rights Act of 1964, which outlawed discrimination in hotels, restaurants and other public accommodations. Ana Swanson is a reporter for Wonkblog specializing in business, economics, data visualization and China. She also works on Know More, Wonkblog’s social media channel. The end goal is to help people but the most important thing is to educate them.